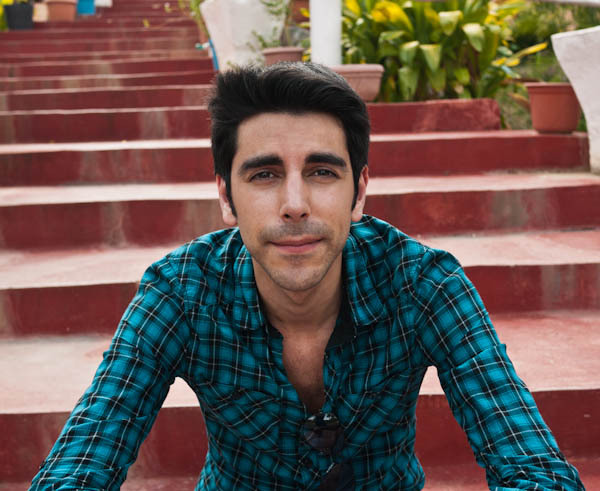 Samuel Clay is the founder of NewsBlur, a personal RSS news reader for web, iOS, and Android. He is also the founder of Turn Touch, beautiful control for your smart home. Back in 2014 I was driving up the 101 coming back from a YC alumni Demo Day and I had a lightbulb moment about the way I wanted to control my new Hue lightbulbs. That’s when the idea of Turn Touch was born. I’d had some experience building open source hardware projects for my home, and developing open source art installations for Burning Man at a slightly larger scale, but I had never thought I’d build an open source hardware project that would be commercially available (or at least available on Kickstarter). Turn Touch is now available to buy for $49 if you don’t feel like building your own. Grove is made up of ten trees, each of which has its own breath sensor and set of two thousand LEDs across four 5 meter 144 LEDs/meter LED strips and 16 high current LEDs in the leaves. That takes both a lot of power to run and a lot of manpower to setup. This is what that setup looks like. Since the trees light up with your breath, we need to consider how the breath is sensed and then how the thousands of LEDs are driven. This was going to be an awkward year for us from the start. Thanksgiving is normally a time when we, two dozen immigrant Jews and first-generation Americans, come together to eat a turkey stuffed with oranges, served with a side of smoked fish and a dozen competing salads. Before the election, I thought the greatest thing that would divide our dinner table would be my recently adopted vegetarianism. But us Jews are all about dietary restrictions. 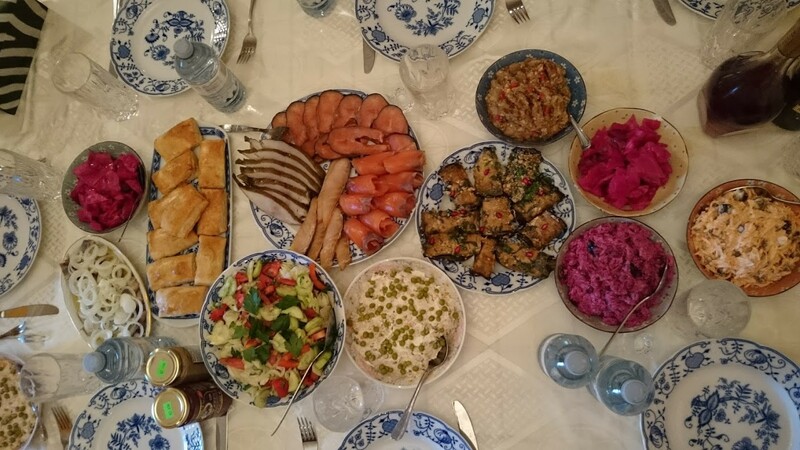 Eight breadless days of weight loss every year during Passover. Fasting from food and water every year for the day of atonement. Two sets of plates for Shabbat and for everyday. I was certain that refusing meat wouldn’t stop me from feeling embraced and loved at the table. But then last week you voted for Trump. Jewish refugees from the Ukraine now living in Ohio voted for Trump. You have told me several times that Obama is the worst president in our lifetime. And so you voted for Trump. 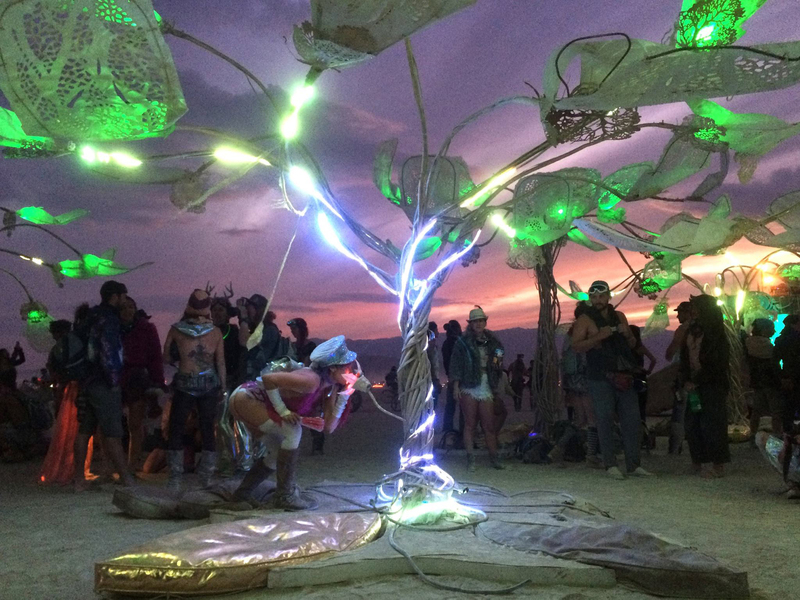 This was my second year attending Burning Man. 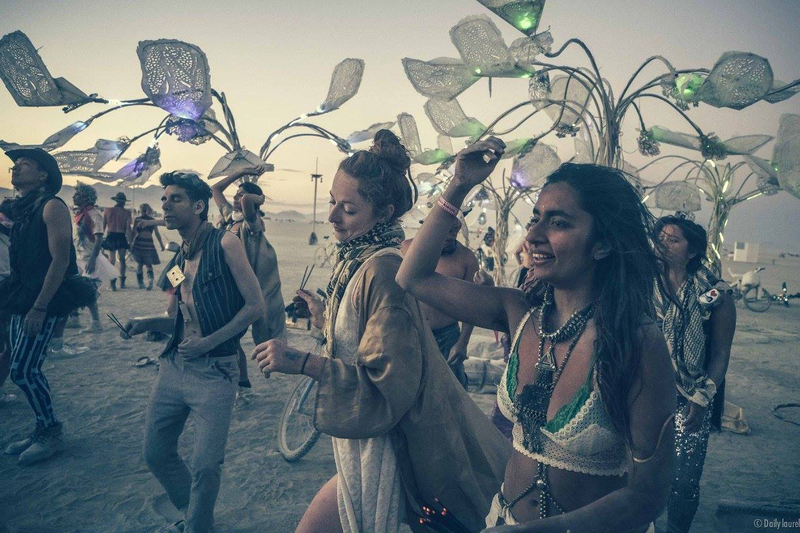 Many use Burning Man as a week to detach from their workweek and experience a new life of intense leisure. Not me, I come to Burning Man to build. Pulse & Bloom is a 2014 honorarium installation. The core team of 6 people — Saba Ghole, Shilo Shiv Suleman, Rohan Dixit, Heather Stewart, Luke Iseman, and myself — built 20 interactive lotus flowers made out of steel and rowlux. Each lotus flower ranges from 8 to 18 feet tall, each of which lights up with your pulse. You and another person can put your hands on a couple of Hamsa hands at the base of the lotus flower and your respective heartbeats will light up the flower. We’ve gotten some great press coverage at the BBC, The Guardian, The Atlantic’s Big Picture twice, CBS News, NBC News, and MSNBC. As usual, the complete source code for Pulse & Bloom is on GitHub. Here are a couple videos of all twenty lotus flowers in full working order. Each lotus flower is blue until a person or two sits down at its base and places their hand on the pulse sensor. You can see the Hamsa hand and its embedded pulse sensor in this shot of my girlfriend Brittany and me working on keeping the electronics going. When a pulse is read, the lotus flower shoots the heartbeat up the stem and into the petals, where it blooms in a brilliant display of amber. When two people’s hands are being measured, both of their heartbeats are shown as two distinct colors. For New Year’s Eve 2014, my girlfriend and I went to a dance party where wearable electronics were not only encouraged but also on display from a variety of hobbyists. I decided to use this as an opportunity to combine two of my favorite hobbies: sewing and electronics. It is my goal to encourage more people to weave wearable electronics into their own clothing. It’s the future and we might as well look the part. Plus it’s easy to get started and to modify existing code. The full source code for this dress is available on GitHub. 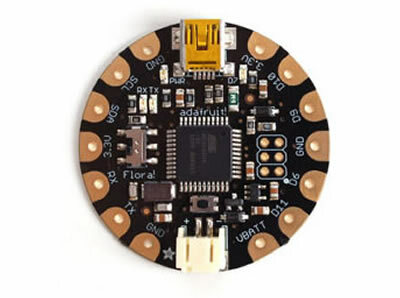 I attached six addressable LED strands from Sparkfun ($20 each) to the lining of Brittany’s dress, and then used a Flora module from Adafruit ($25) to control them. 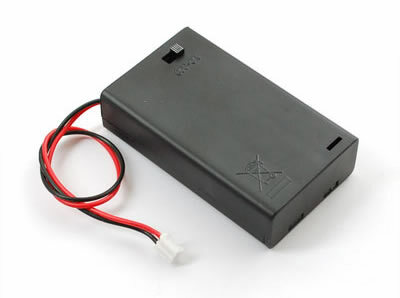 I then used a 3 x AAA battery holder from Adafruit ($2). I used Adafruit’s NeoPixel library to control the LEDs. There were 60 LEDs per 1 meter-long strand. We only needed 40 of the LEDs, but instead of cutting them off, we simply sewed the unused third underneath the strand and cut the software off at 40 LEDs. This way we can repurpose the LED strands when we decide to move them to a new dress. 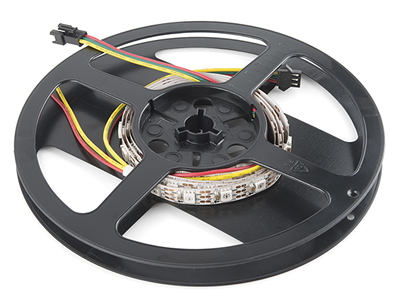 In order to make the connections between the LED strands and the Flora module, I used 30 AWG wire, which is an extremely thin and light wire. The gauge is 0.01” and is as fine as thread. This allowed me to sew the wire into the fabric. I could have used conductive thread, but this wire wrap has a sheath that prevents it from shorting other wires when they touch. It’s also extremely light-weight, so having 18 wires (3 wires per LED strand: power, ground, data) looping around the dress wasn’t an issue. I also want to mention that the code below is hard-coded for six stands. There is a fine line between a hack and a project, and for this, due to my limited time budget, was closer to hack than reusable project. You can easily abstract the code below to account for more or fewer strands, but I was able to ship before midnight on NYE, so I’m considering it a success. Above we have the code for setup and loop, the two main Arduino routines. Notice that I am repeating the hula hoop routine, since it’s pretty quick and looks good on repeat. I also want to note that every single routine gets its own random color and random delay. This bit of randomness is something I weave into all of my wearable electronics, since it goes just a bit further than off-the-shelf components and shows that there was some intelligence behind the routine. By giving a random delay to each routine I am actually changing the speed of the routine. Sometimes the raindrops would fall quickly, sometimes the hula hoop would have a slow fall and rise. It’s all part of making mesmerizing patterns.